Our pricing is structured as a package rate. For day groups, this will include: two meals, hospitality areas, meeting space and use of the grounds and Chapel. For overnight groups, this will include: private lodging rooms, three meals, hospitality areas, meeting space and use of the grounds and Chapel. Our overnight rates can also include a double occupancy option per lodging room. These rates are available by contacting our Sales Manager, Rainey Taylor, at Lorraine_Taylor@nullRCCBonSecours.com. You can also fill out our online form here. All lodging rooms are private rooms with a private bath and one queen-size bed. We offer delicious breakfasts, lunches and dinners, as well as hospitality areas containing coffee, tea, water, fresh whole fruit, sodas and juices. A commitment to reserve space is initiated with a Letter of Agreement and a 20% deposit of the total of the reservation. Your deposit is non-refundable. In the event that you have to cancel your event and you’ve given 90-days notice, your deposit will be held for rescheduling within one year of the original event date. If less than 90 days notice, the deposit will be forfeited. Tours of the Center are available by calling and scheduling an appointment at 410-442-3144. 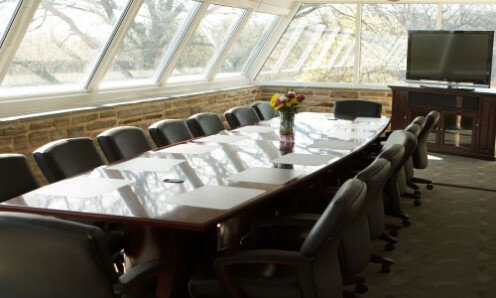 Our calendar fills up rather quickly, so please be in touch soon for your conference, event or meeting if you wish to experience the beauty and grace of the Bon Secours Retreat and Conference Center.